ZTE just recently resumed operations after its ban which made the Chinese company unable to embark on any production. 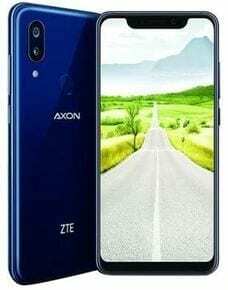 Unveiled at the 2018 IFA event in Berlin, the ZTE Axon 9 Pro is the company’s latest flagship. The smartphone comes with all the latest features on it and quite an attractive spec sheet too. Wireless charging, face unlock, large battery, powerful chipset and good camera are among the features you will be enjoying. Check out some of the goodies the smartphone has for you below. 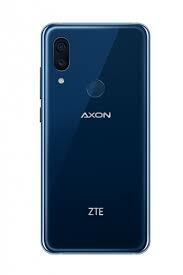 Quite frankly, the ZTE Axon 9 Pro looks attractive, however, it lacks that originality about it. Certainly not a nivel design, the smartphone build looks derivative. Nonetheless, the smartphone is very much still a good one plus it looks and feels like a flagship. The smartpone looks and feels like a flagship in hand with 3D glass covering the back At the front there is the notch as well as 2.5D curved glass covering while also boasting of dust and water proof up to 1.5m for 30mins. At the display front, you’ll be pleased to know that the smartphone feature a nice big OLED screen bolstered by its Axon vision technology. Not only that, the smartphone also comes with a 1080 X 2248 pixels resolution as well as deep blacks and punchy colour display. The smartphone has a display size of 6.21-inch and is HDR10 compliant serving as you your own little theatre. The ZTE Axon 9 Pro is one of the flagship that comes with a large battery and gives you a lot of time on your device. In that regard, the 4, 000mAh is a lot with the chipset on the smartphone and much needed for the big display. Aside that, it has a Quick Charge 4+ which is quite scarce and Qi wireless charge. You can be rest assured of the snapping prowess of the smartpone and it has an impressive optics set up here. As you have in most premium smartphone, there are two cameras at the back, one 12MP f/1.75 aperture camera and another wide angle 20MP camera. Your selfies are at the mercy of a 20MP camera which is assisted by AI optimization. You get to enjoy some nice features like Optical image stanilistabil, portrait mode, sport mode and HDR shots on both sides. 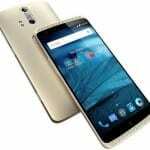 The smartphone will cost 276, 000 Naira or t here about depending on the deal or the location you’re buying from.